I’ll warn you now: This page isn’t about how to do a better squat, or what grip to use when deadlifting. This is all about the barbells themselves. 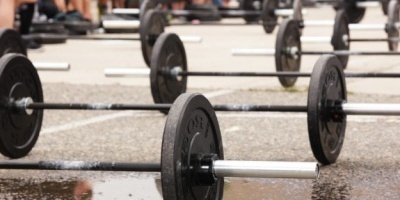 If you’re a barbell fanatic, you won’t get bored here. Here are the top articles on olympic barbells that we’ve compiled, not just the most popular from our own blog but also from around the web. We’ve tried to avoid too much overlap, but at some point there’s only so much you can say about bars! Powerlifting vs Weightlifting Bars – What’s the Difference? Barbell Basics – The legendary trainer Mark Rippetoe on the different types of barbells, what to look for when buying them online, and recommended maintenance. 2. Rogue Weightlifting Bars Explained – No list is complete without something from Rogue! 3. NorCal Crossfit‘s How to Clean Your Barbell – An inside look as you pull the ends off! 4. How much weight can a cheap bar handle? – Entertaining! This is a typical cheap bar included in a 300lb weight set. 5. Rogue vs Eleiko Bearing Bars – If you’re into competitive weightlifting, check out this detailed review of the difference between these two manufacturers’ bars. Know of any more awesome articles or videos on barbells we should include here? Leave a comment!